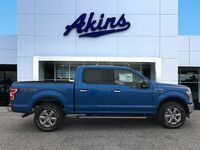 Here at Akins Ford near Atlanta, GA, we love spending time talking about how impressive each new Ford F-150 lineup is every time a new model year rolls around. 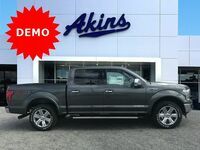 But we take even more joy when we’re able to showcase the many ways a current-model-year F-150 lineup tops its next-model-year competition. 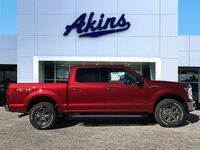 And that’s exactly what we get to do here as we take a look at the 2018 Ford F-150 lineup versus the 2019 Chevrolet Silverado 1500 lineup. 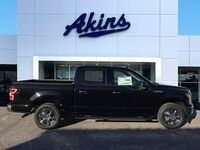 Conventional wisdom says a 2019 model year pickup truck is going to be more powerful, more efficient and more capable than a 2018 model year truck, but as you’ll see in this comparison, that’s definitely not the case when looking at the 2018 Ford F-150 lineup and the 2019 Chevy Silverado 1500 lineup. 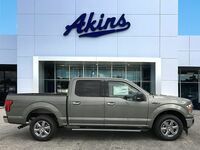 290 HP & 265 lb-ft. Standard Horsepower & Torque 285 HP & 305 lb-ft.
450 HP & 510 lb-ft. Max Horsepower & Torque 420 HP & 460 lb-ft.
As we mentioned in our introduction, conventional wisdom states a 2019 model year truck will offer higher power and capability ratings than a 2018 model year truck. 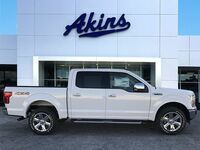 But Ford doesn’t subscribe to conventional wisdom. Instead, they simply subscribe to the idea of being the best at all times – no matter the circumstances. 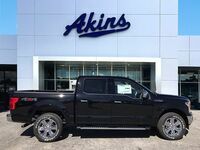 Now, there is one caveat to this – and that’s that the 2019 Chevrolet Silverado 1500 lineup offers more standard torque than the 2018 Ford F-150 lineup. Other than that, there isn’t a single category in which the 2019 Silverado 1500 lineup stands above the 2018 F-150 lineup. That’s especially true when looking at the max power ratings of each lineup. It’s also fair to point out that the towing and payload ratings for the 2019 Chevy Silverado 1500 lineup haven’t been released yet. 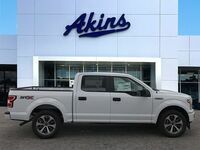 However, considering the 2018 F-150 lineup features best-in-class towing and hauling capability, it’s a safe bet the 2018 F-150 lineup is able to tow and haul more than its 2019 Chevrolet counterpart. 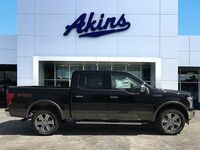 For more on the 2018 Ford F-150 lineup, please get in touch with our friendly and knowledgeable staff here at Akins Ford near Atlanta, GA.